Josef Frank (born in 1885 in the town of Baden near Vienna) is not only one of the most important Austrian architects of the 20th century, but also, with his designs for textiles and furniture, one of the modernist designers whose influence continues to be felt in international design today. As a central representative of the “second Viennese Modernism,” in 1933 Frank saw no choice but to leave Austria in light of the mounting anti-Semitism and emigrated to Sweden, where—apart from a period spent living and working in the United States between 1939 and 1947—he continued to live up until his death in 1967. The exhibition JOSEF FRANK: Against Design presents the full scope of Frank’s pioneering and diverse oeuvre. In light of his prodigious output of furniture and textile designs that remain current to this day and his intensive involvement with the possibilities of architecture and living in the modern era, the title Against Design might at first seem a puzzling choice for an exhibition on Josef Frank. Frank, whose work as a designer and design critic continues to be considered contemporary today, represented a pragmatic approach to design and argued for a simple and “normal”—but by no means normative—architecture and design. He believed that existing elements should be taken into account as a matter of course and intuitively developed for practical use, without striving toward representation and innovation. To Frank, it was not so much the formal qualities, but those of social experience that were important; his interiors and household objects were not intended to be subjected to formalist concepts, but placed at the service of convenience. Especially today, Josef Frank’s ideas about an uncontrived and unpretentious functionality, whose aim was an independent, free, enlightened bourgeois domestic culture far from stylistic dogmas and fashionable conventions, seem more relevant than ever. 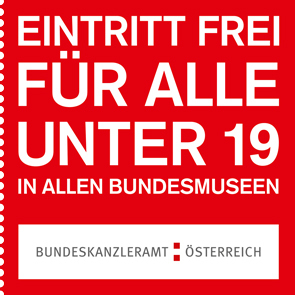 Sat, 9 Jan 2016, 2–4 p.m. Sat, 23 Jan 2016, 2–4 p.m. Sat, 5 Mar 2016, 2–4 p.m. Sat, 19 Mar 2016, 2–4 p.m.
We’ll show you how the architect Josef Frank decorated his apartments and houses: with flowers and plants—almost like in a jungle. The colorful world of fabric patterns such as Brazil, Seerose, Hawaii, Aurora, Amazonas, and Himalaya will inspire us to print fabrics, design furniture, wallpaper, and carpets, and create a colorful paradise in the MAK Columned Main Hall. Sat 30 Apr, 7 May, and 4 Jun 2016, 2–4 p.m.
Josef Frank overflowed with creativity—his countless patterns and pieces of furniture bear witness to that fact. What we’re interested in is: what inspired his imagination? Undercover, we will put snakeskin closets under the microscope and solve tricky tasks involving brightly colored sofas. Equipped with loads of knowledge, you will design a model of your own ideal piece of furniture with materials used by professional designers. Sun, 24 Jan 2016, 4 p.m.
Sun, 28 Feb 2016, 4 p.m.
Sun, 13 Mar 2016, 4 p.m.
Sun, 17 Apr 2016, 4 p.m.
Sun, 5 Jun 2016, 4 p.m.
Josef Frank – Spaces is the first comprehensive book on Frank’s single-family houses. It explores the evolution of his designs over the years and investigates the influences that shaped his work. The book examines six of Frank’s houses in greater detail, with images, plans, and descriptive texts that also interpret the buildings’ characteristics. The selection comprises the villas Claëson and Wehtje in Falsterbo, Sweden; the villas Wien XIII and Beer in Vienna; the House MS in Los Angeles; and the unrealized Fantasy House 9 (Accidental House). A complete catalog of Frank’s single-family houses rounds out the book. is an architect with his own architectural firm in Stockholm. He also writes about architecture and has published several books on Josef Frank. is an architect with his own studio in Stockholm. He has published several books on Josef Frank. Tue, 19 Jan 2016, 6:30 p.m. In Heidrun Holzfeind’s film, current inhabitants of the settlement talk about living in the model houses from the 1930s. How have people settled into their homes, and how have they chosen to adapt them? Personal conversations and memories demonstrate which architectural ideas have been realized and which have clearly failed. The MAK on TOUR Special explores Josef Frank’s conception of architecture and his efforts for functionality, well-being, comfort, hominess, and stylistic diversity. Each tour at the MAK starts with a walk through the exhibition. Then participants will travel by bus to the excursion locations for an additional viewing and tour. Sat, 13 Feb 2016, 2 p.m. Sat, 12 Mar 2016, 2 p.m. Sat, 19 Mar 2016, 2 p.m. Sat, 2 Apr 2016, 11 a.m.-9 p.m.
Sun, 3 Apr 2016, 11 a-m--9 p.m.
“All Things Frank!” is the catchphrase on the first weekend in April when, for the first time ever, the Architekturzentrum Wien (Az W) makes the Villa Beer (1929–1931), Josef Frank’s masterpiece of interwar modernism, accessible to the public and uses the building for museum purposes. JOSEF FRANK: Against Design – The Anti-Formalist Oeuvre of the Architect, edited by Christoph Thun-Hohenstein, Hermann Czech und Sebastian Hackenschmidt, German/English, 368 pages with numerous color illustrations, MAK Vienna/Birkhäuser Verlag, Basel 2016. JOSEF FRANK: Against Design takes place in cooperation with the festival “All Things Frank! For 2 days everything circles around the Villa Beer” at the Architekturzentrum Wien. The festival takes place from 2 Apr–3 Apr 2016. Published for the exhibition of the same title (16.12.2015–12.6.2016). MAK Vienna / Birkhäuser Verlag, Basel 2016. Josef Frank – Stadtbaukunst von unten.Josef Frank – Stadtbaukunst von unten. Josef Frank – Stadtbaukunst von unten.